HTC has just added a new high-end smartphone to its One lineup called the One X9. 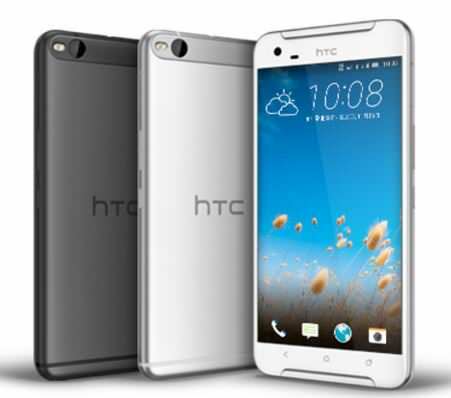 Similar to the previous HTC One series devices, the One X9 also sports a premium brushed aluminium unibody design. The phone also comes with the brand’s signature dual front-facing BoomSound speakers with Dolby Audio. As far as the specs are concerned, the HTC One X9 sports a phablet-grade 5.5-inch full HD display with a pixel density of 401ppi. The phone packs a 64-bit 2.2GHz octa-core MediaTek Helio X10 processor under the hood, aided by 3-gigs of RAM. The internal storage is 32GB, and can be further expanded up to 2TB by inserting a microSD card. For imaging, the device features a 13MP rear camera with optical image stabilisation with 4K recording support and a dual-tone LED flash, and an UltraPixel front shooter for quality self-portraits. In terms of connectivity, the handset offers 4G LTE support, dual-SIM slots, dual-band Wi-Fi, Bluetooth 4.1 and A-GPS. It runs an unspecified version of Android (probably Marshmallow) with HTC’s Sense UI on top. The device is fuelled by a 3,000mAh battery that supports fast charging. The HTC One X9 is priced at 2,399 Yuan, approximately Rs 24,500, and will be available soon in China in Gunmetal Grey and Silver hues.